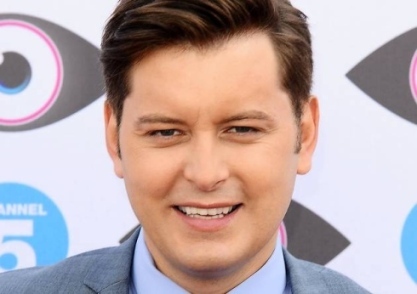 UK Today News: Irish Television presenter Brian Dowling, the host of the reality series Big Brother, was recently robbed at a knife point. Dowling feared for his life when he was robbed near his south west London apartment. The attack happened earlier this week when the TV presenter was on his way back home. Two men had dragged Dowling to an alley way, where they held a knife on his throat and mugged him. While talking to the Sun Newspaper, Brian said that he was only thinking of one thing if they would stab him. The TV presenter expressed that he was so petrified that he could not even yell for help while passers by walked on the on the other side of the road. The men who grabbed him were wearing hoodies and took away his wallet, mobile phone and also emptied his pocket. The TV presenter also said that the incident had surprised him as it happened just 30 seconds away from his home and that it was barely 9 pm. After the attack, Dowling managed to get back to his apartment , but added that he was traumatized and dazed by the robbery. One of the representatives of the TV presenter said that he was badly shaken but is feeling much better now. While talking to the newspaper, Brian said that he felt physically sick when he got back home. Brian also called the police and informed the cops about the incident at the near by police station. A Scotland Yard spokesperson informed that at around 9 pm on March 14, they were called about a man in his 30s being robbed. The spokesperson added that no arrests have been made so far. Dowling rose to fame after he was crowned as the winner of the second series of the UK based reality show Big Brother.